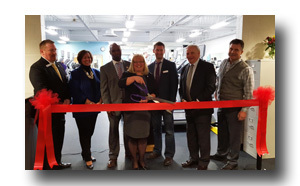 Senator Mensch attended the ribbon cutting ceremony at the Boyertown YMCA for the new extension to the facility. Left to Right: Jon Agnew, PFVY Chief Operating Officer; PA State Rep. Marcy Toepel. ; Michael Troupe, PFVY Vice President of Facilities; Kim Slonaker, Boyertown Y Executive Director; Brian Seidel, Boyertown Y Advisory Board Chairman; Senator Mensch; State Representative David Maloney. 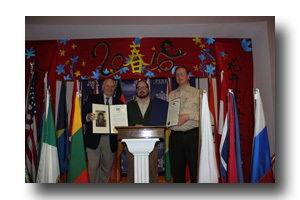 This edition of The Mensch Report features the Grand Theater in East Greenville, PA. The Grand Theater has been restored to emulate its original 1924 appearance and is one of the area’s biggest attractions. Join me on a tour and flashback to the 1920’s. On February 9, 2016, the Governor introduced his FY 2016-17 budget proposal. His proposal calls for a $33.288 billion General Fund budget which is an increase in $3.025 billion, or 10 percent, over House Bill 1460 as enacted by the General Assembly in December 2015. When comparing the Governor’s proposal to the so-called “framework” budget, it is a $2.5 billion, or 8.1 percent, increase. When compared to his revised FY 2015-16 budget (including proposed supplemental appropriations), it is a $2.45 billion, or 7.9 percent, increase in spending. I’m curious to know your thoughts on the governor’s tax and spend proposal. I encourage you to participate in my short three question survey here: www.senatormensch.com/constituent-survey. Please join me Monday, April 25 for coffee and discussion of state topics. Bring a friend and any questions you may have. The gathering will take place from 8 a.m. to 9:30 a.m. at the Upper Bucks Senior/Activity Center located at the Milford Square Fire Hall (2183 Milford Square Pike in Quakertown). The event is free. For more information and to RSVP, please call our Red Hill office at 215-541-2388 or email srasmussen@pasen.gov. 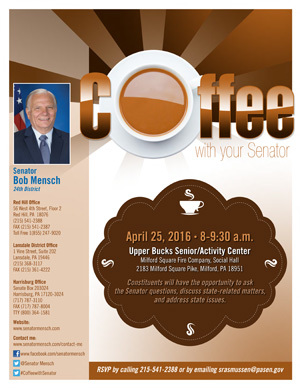 Also mark your calendar for my Coffee with Your Senator event on Saturday, June 4, 2016 at the Upper Perk Library from 10 a.m. to 11:30 a.m. The excitement of another trout season is right around the corner. The most up-to-date stocking information may always be found on the PA Fish and Boat Commission’s website. Please contact my office at 215-541-2388 if you would like specific counties printed out and mailed to you. The Fish and Boat commission also offers information on how to obtain your fishing license and Trout-Salmon Permit (required for anglers age 16 or older). You can also find a list of issuing agents by county where licenses may be purchased, and purchase licenses online. The links below connect you to printer-friendly versions of the PFBC’s most popular publications. 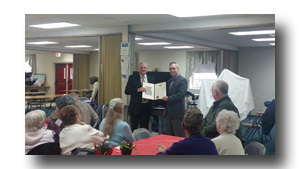 Senator Mensch participated in Pottstown Senior Center’s 40th anniversary celebration and presented a proclamation recognizing the organization’s astounding efforts to help seniors. My district offices have some state and federal tax forms available. To obtain forms, please call any of my district offices to request the items you need. Forms can be picked up at my district offices or mailed to your home. In addition, PA Department of Revenue forms and instruction booklets can be found here, and IRS forms and instruction booklets can be found here. Starting March 1, 2016, SNAP recipients classified as able-bodied adults without dependents (ABAWDs) will see a change in their benefits because of changes in eligibility requirements. What is SNAP and Who is an ABAWD? The Supplemental Nutrition Assistance Program (SNAP) is the name for the Food Stamp program. An ABAWD is an Able-Bodied Adult without Dependents. ABAWDs aged 18 to 49 who receive benefits must now work or participate in a work program to maintain their eligibility for SNAP. Living in an area where the U.S. Department of Agriculture has waived application of the work requirements. Since the 2008 economic crisis, Pennsylvania has been able to waive SNAP work requirements in order to provide benefits to more individuals in need. The waiver expired on December 31, 2015 and the Commonwealth is not eligible for an extension. 3. Participating in and complying with a workforce program for 80 hours or more per month. What happens if an individual does not meet the work requirements? ABAWDs who do not comply with the SNAP work requirements will only be able to receive three months of SNAP benefits during a fixed three year period. The current three year period began January 1, 2015 and will end December 31, 2017. However, the work requirements do not begin until March 1, 2016. SNAP benefits received for the months of January and February 2016 will not count against the 3-month limit. How will ABAWDs be notified of the changes? DHS will send letters to all SNAP recipients. The letter provides an overview of the changes and assists recipients in determining whether they are classified as an ABAWD. Individuals applying for or renewing benefits will be informed by their caseworker. The individual’s circumstances have changed and he/she meets an exemption from the ABAWD work requirements.